HCA Healthcare announced Friday it has signed a definitive agreement to purchase Asheville, N.C.-based Mission Health for $1.5 billion. 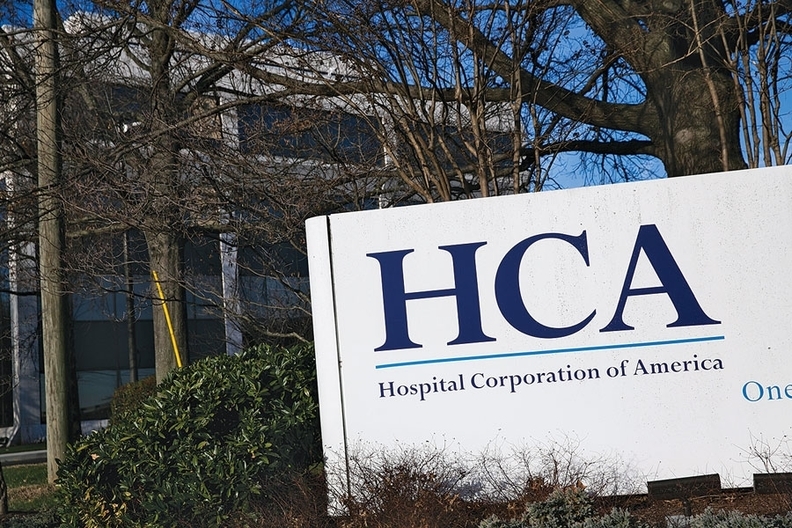 Investor-owned HCA will send the deal's net proceeds, minus not-for-profit Mission's debt, into a trust used to fund public health efforts in the area. As of June 30, Mission had more than $550 million in long-term debt, about $102 million in long-term investments and $46 million in cash. As part of the agreement, HCA has committed to keeping Mission's six acute-care hospitals as well as its rehabilitation hospitals open for at least 10 years, other than St. Joseph's Hospital, which Mission said was already planned for transition. HCA has also pledged to maintain key clinical services for at least five years. "None of those protections exist for Mission Health programs or facilities today," the health systems' release said. In interviews, Mission representatives have emphasized that the addition of HCA's resources raise the likelihood that facilities and services will have the ability to remain open beyond that which Mission could offer alone. HCA has committed to spending $430 million over five years on capital expenditures, including completion of the Mission Hospital for Advanced Medicine, building a replacement hospital for Angel Medical Center and building a new behavioral health hospital. HCA will also contribute $25 million that will be combined with $25 million from Mission to create a fund to invest in businesses seeking to innovate healthcare delivery in western North Carolina. "HCA Healthcare has a strong track record of enhancing its hospitals' operations and a proven history of investing in the communities it services," Mission CEO Dr. Ronald Paulus wrote in a statement. "The fact that we have ensured unprecedented protections for our rural communities in western North Carolina, enabled a $50 million innovation fund and created the Dogwood Health Trust all demonstrate how this transaction will be transformative for our region." Now, the proposed deal is largely in the hands of North Carolina Attorney General Josh Stein, who has 90 days to perform what he promises will be a "full legal review." "Because of the importance of this transaction, our office will prioritize diligence over speed," said Laura Brewer, a spokeswoman for the attorney general's office. "The attorney general is committed to making sure that the communities that built Mission Health are appropriately protected." The Internal Revenue Service, the CMS and the Federal Trade Commission will also review the deal. Mission has also pledged to give $15 million to each of its five existing hospital foundations plus one that will be created for Angel Medical Center, which doesn't currently have a foundation, once the deal closes. The money would come in three annual payments of $5 million. Mission wrote in its release that its operations will continue to be managed locally under the Mission brand while HCA's backing will boost its operations, capital access, clinical trials, research, predictive modeling and analytics. Mission noted HCA is among the country's largest acute-care psychiatric providers and provides advanced geriatric care, including emergency services. A Mission spokeswoman said the health system does not have additional information to share beyond its news release. An HCA spokesman did not return a request for comment. "Mission Health is the premier healthcare system in western North Carolina, with a 130-year tradition of high quality patient care," Milton Johnson, HCA's CEO, said in a statement. "We look forward to continuing Mission Health's focus on excellence, and investing in western North Carolina to improve the health of the region." HCA currently has no operations in North Carolina, and a Modern Healthcare Metrics analysis showed it may see a fellow market leader in Mission, which holds a 49.5% market share across the 11 counties it operates in. Mission has responded to backlash over the pending deal from investors and residents. It routinely posts responses to questions it receives on a website the health system launched to share updates on the deal. Still, some residents of the counties Mission serves have banded together to oppose the deal since the parties announced their letter of intent in March. An online petition with more than 1,300 signatures is asking the attorney general to exclude Blue Ridge Hospital from the deal. Meanwhile, Mission's municipal bondholders are upset that the tax-exempt bonds issued in 2017 will be redeemed at par value once the deal is closed. The bonds were sold at premium prices, and have since lost up to 15% of their value. Tim Greaney, a professor at the University of California Hastings College of the Law, emphasized the importance of the amount of money that will flow from the deal into the Dogwood Health Trust. If there wasn't a competitive bidding process between multiple suitors, he said it's difficult to know whether the correct value is being provided for Mission. The attorney general will need to closely examine that point, Greaney said. "The public dollars are sort of at stake here," he said, "because the idea of the conversion is the public is losing something in the sense of an organization that did community services that merited its tax exemption. … That should go to a comparable service that services the public in some way, whether it's education, delivery of healthcare, promotion of health." HCA doesn't have a spotless record of keeping its promises with not-for-profit health system acquisitions. It was ordered to pay $188 million to a Kansas City healthcare foundation under a settlement stemming from a lawsuit that accused the hospital chain of failing to provide the promised capital investments under its deal to buy Health Midwest. In that deal, HCA had said it would make at least $450 million in capital improvements during the first five years of ownership. HCA had two years earlier paid the same foundation $15 million to settle a separate lawsuit stemming from the Health Midwest deal accusing it of not providing the required level of charity care and uncompensated care in its 2003 purchase agreement. Mission's release did not mention whether its definitive agreement with HCA includes a charity-care requirement, and a spokeswoman declined to say whether it does. With the deal, HCA is set to acquire Mission's 763-bed flagship hospital and 80-bed CarePartners Rehabilitation Hospital, both in Asheville; 49-bed Mission Hospital McDowell, Marion; 25-bed Angel Medical Center, Franklin; 25-bed Transylvania Regional Hospital, Brevard; 25-bed Blue Ridge Regional Hospital, Spruce Pine; and 24-bed Highlands (N.C.)-Cashiers Hospital.